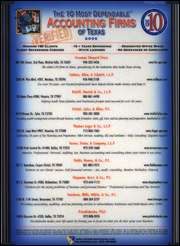 Founded in 1942, Victoria Texas Accountants, Roloff, Hnatek & Co., L.L.P. provides tax and accounting services to individuals and business owners across Texas. We have also developed an expertise in assisting physicians, attorneys, and investors. In 2006, Roloff, Hnatek & Co., L.L.P. 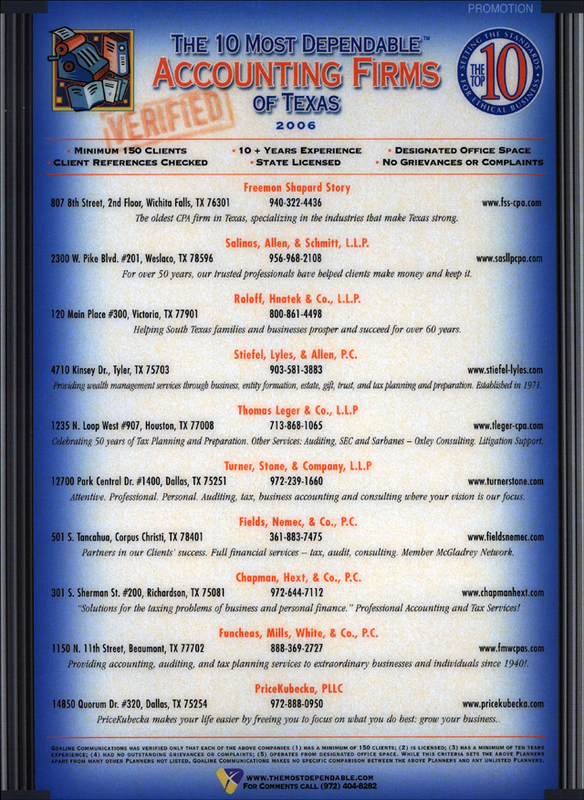 was ranked as one of the top 10 most dependable accounting firms in Texas.